EXTREME WEATHER, the Climate Crisis Industries favoured weapon of mass hysteria has been scuttled, once again, by their very own authority, the UN IPCC! THE latest report finding that there is “little basis or evidence” for claiming that drought, floods, hurricanes, tornadoes have increased due to greenhouse gases. BUT, alas! Just as the extreme weather findings from last IPCC report – AR5 (2013) – were conveniently dismissed by the mainstream media and climate crusaders, so too will the latest ‘inconvenient’ findings from the SR15 ‘Special Report’. Pielke Jr. Agrees – ‘Extreme weather to climate connection’ is a dead issue | Watts Up With That? 1⃣A short thread on what the new @IPCC_CH report says about trends in extreme events, specifically: heat waves, drought, floods, tropical cyclones, tornadoes. Let's go . . .
Likely= "consistent changes are detectable on continental scale in North America, Europe and Australia"
"low confidence in the sign of drought trends since 1950 at global scale… likely to be trends in some regions of the world, including increases in drought in the Mediterranean and W Africa & decreases in droughts in central N America & NW Australia"
"There is low confidence due to limited evidence, however, that anthropogenic climate change has affected the frequency and the magnitude of floods. " "In summary, streamflow trends since 1950 are non-statistically significant in most of the world’s largest rivers (high confidence)"
Though some basins see up trends, some down. in the global number of tropical cyclones and/or the globally accumulated cyclonic energy"
"there is only low confidence regarding changes in global tropical cyclone numbers under global warming over the last four decades." " There is consequently low confidence in the larger number of studies reporting increasing trends in the global number of very intense cyclones." The IPCC once again reports that there is little basis for claiming that drought, floods, hurricanes, tornadoes have increased, much less increased due to GHGs. AUSTRALIA’S original inhabitants may have died-off during a 1500-year-long ‘mega drough’, new research suggests. Researchers investigating rapid climate change in the Kimberley region found the intense drought coincided with the disappearance of a pre-Aboriginal style of rock paintings about 7000 years ago. Ancient rock art from the region is divided into two distinctive styles: Gwion and Wandjina. The Gwion rock-art style lasted some 10,000 years before the final image was painted. Wandjina paintings only appeared about 4000 years ago. The study, sponsored by the Kimberley Foundation of Australia, for the first time offers an explanation for this 3000 year gap. “The likely reason for the demise of the Gwion artists was a mega-drought spanning approximately 1500 years, brought on by changing climate conditions that caused the collapse of the Australian summer monsoon,” says associate professor Hamish McGowan of the University of Queensland’s School of Geography. The study found the plant density and land surface had changed at this time, combining with increased dust in the air. The effect was the failure of monsoon rains – peaking about 5500 years ago. “This confirms that pre-historic aboriginal cultures experienced catastrophic upheaval due to rapid natural climate variability,” he said. Wandjina painters appear to have only moved into the area after the climate again became more favourable about 4000 years ago. The report, published in the American Geophysical Union Journal, was compiled by researchers from the University of Queensland, Central Queensland University and Wollongong University. MEANWHILE, Australia’s politicians and the Climate Crisis Industry are succeeding in destroying Australia’s economy through the stealth implementation of draconian climate change policy that they believe will future-proof Australia against bad weather and events like the current NSW drought, where some areas have not seen any decent rain for 2 years. 1,498 years less than when “rapid climate change” brought on Australia’s natural ‘Mega-Drought’ around 7,000 years ago. Citizen journalists don’t rely on mastheads, rather private donations. Every pledge helps! CAN’T wait for this perfect climate utopia that climate change activists assure us will come by carpeting pristine landscapes with windmills and toxic solar panels manufactured in China with cheap energy from Australia’s “dirty” coal! 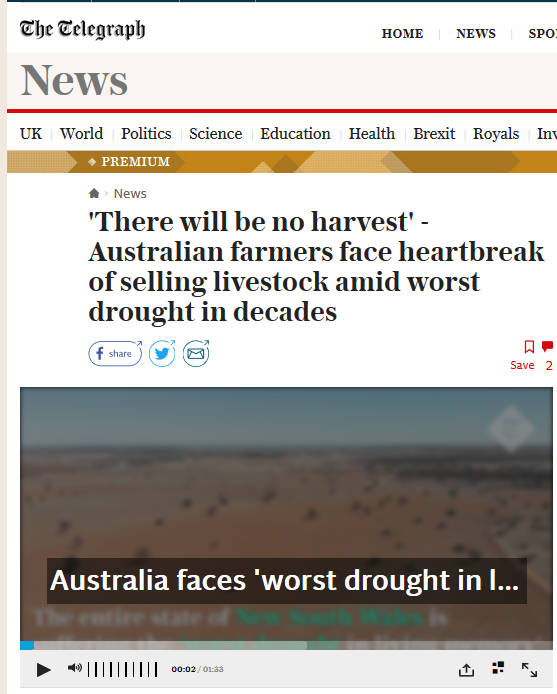 Drought is always a tragedy for farmers, but is the current drought in NSW really as bad as the Telegraph is making out? On Monday afternoon, James Hamilton, a sixth-generation farmer in south-east Australia, looked out at the dry bristly stubble covering his 4,000 acre property and then went inside his homestead to have the conversation that he and his wife Amanda had both been dreading. Since the beginning of the year, this typically lush stretch of farmland near the inland town of Narromine, 260 miles west of Sydney, has received just two inches of rain, compared with an average annual rainfall of 18 inches. THE global warming climate change scare has absolutely nothing to do with the environment or “Saving The Planet”. Rather, its roots lie in a misanthropic agenda engineered by the environmental movement of the mid 1970’s, who realised that doing something about claimed man-made “global warming” would play to quite a number of the Left’s social agendas. ENERGY rationing and the control of carbon dioxide, the direct byproduct of cheap, reliable hydrocarbon energy, has always been key to the Left’s Malthusian and misanthropic agenda of depopulation and deindustrialisation. A totalitarian ideology enforced through punitive emissions controls under the guise of “Saving The Planet”. THE creator, fabricator and proponent of global warming alarmism Maurice Strong, founded UNEP and ‘science’ arm, the UN IPCC, under the premise of studying only human (CO2) driven causes of climate change. CLIMATE catastrophists blame humans and their use of fossil fuels for the purported destruction of climate with “tipping points” and “runaway global warming” some of the emotional descriptors driving the narrative. ANTARCTICA, the ‘inconvenient’ pole, the naughty child, has been gaining ice mass and cooling for decades, despite a 20 per cent increase in atmospheric CO2, and model predictions to the contrary. Mass changes of the Antarctic ice sheet impact sea-level rise as climate changes, but recent rates have been uncertain. Ice, Cloud and land Elevation Satellite (ICESat) data (2003–08) show mass gains from snow accumulation exceeded discharge losses by 82 ± 25 Gt a−1, reducing global sea-level rise by 0.23 mm a−1. OVER the past decade, the Arctic has seen a large increase in multi-year, thick sea-ice. ANDREW Bolt, yet again, calling out the blatant climate falsehoods and exaggerations pushed by the usual band of climate change ambulance chasers keen to blame human emissions for Australia’s latest cyclical drought. Malcolm Turnbull says climate change helps cause droughts, dismissing suggestions Australia abandon global emissions reduction targets. ABC presenter and warmist Fran Kelly this morning pushed the same line – global warming now had to be made front and centre of drought policy. Pardon? This is a complete misreading of what is really going on in our climate. Yes, the drought has hurt harvests, but there is no evidence before the past year of climate change hurting crops. The opposite, in fact. The forecast national harvest sits two per cent above the 10-year-average, but Mr Collins said not everywhere would have an average crop. Why do warmists so often exaggerate, and treat weather as climate? THE Murray River (Australia’s longest) was dry for six months in 1902. Last year I contacted you in regards to updating 7 years of missing tropical cyclone data on the BoM record. I have been a keen observer of weather and climate for well over a climate point (42 years)! The chaotic system of climate and “climate change” is ever fascinating. Though, today the ‘chaos’ has been replaced by an unhealthy polarization of “the science”, all too often determined by belief, politics and ideology. Sadly, dogma has trumped empirical evidence, corrupting the scientific method. That said, I am seeking from you an updated version of the cyclone trends graph which ends at 2011. The BoM site has excellent data up to 2017 to complete the series. Is there a reason why the data has not been translated to the current graph? I would be happy to work on getting it up to date if resources are limited! However, this record does not quite match the said graph 1969 – 2011. Methodology for what qualifies the graphed record would be appreciated. Graph showing the number of severe and non-severe tropical cyclones from 1970–2011 which have occurred in the Australian region. Severe tropical cyclones are those which show a minimum central pressure less than 970 hPa. Graph showing the number of severe and non-severe tropical cyclones from 1970-2017 which have occurred in the Australian region. Severe tropical cyclones are shown here as those with a minimum central pressure less than 970 hPa. Drought. The word evokes images of barren fields, dying stock, and water holes and reservoirs drying to cracked mud. Shrivelled hopes, failed crops, and often economic ruin are its trademarks. Drought is also part and parcel of life in Australia, particularly in the marginal areas away from the better-watered coasts and ranges. Of all the climatic phenomena to afflict Australia, drought is probably the most economically costly: major droughts such as that of 1982/83 can have a major impact on the national economy. Moreover, apart from crop failure and stock losses, droughts set the scene for other disastrous phenomena, such as fires, dust-storms, and general land degradation. 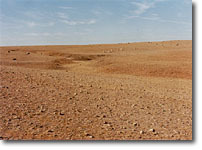 Denuded earth and dry watercourses during drought near Gunnedah, in the normally well-watered Namoi Valley region of New South Wales (photo courtesy of the NSW Dept of Land and Water Conservation). Why is Australia drought prone? Australia is prone to drought because of its geography. Our continent sits more or less astride the latitudes of the subtropical high pressure belt, an area of sinking, dry, stable air and usually clear skies. The far north and south of the country come under the influence of reasonably regular rain-bearing disturbances for at least part of the year, and the east coast is watered reasonably well by moisture from the Tasman and Coral Seas. However over most of the country rainfall is not only low, but highly erratic. (photo c/o the Fairfax Photo Library). Over much of the country, droughts can extend over several years, relieved only by brief, transitory rains. Indeed, probably the most damaging type of drought is when one or two very dry years follow several years of generally below-average rainfall. The “Federation drought” of the late 1890s through 1902 is an example, as is the more recent 1991-95 drought in Queensland, northern New South Wales and parts of central Australia. Over still longer time-scales, Australia’s rainfall history features several periods of a decade or longer that seem to have been distinctly “drought prone”. For instance, the mid to late 1920s and the 1930s were a period of generally low rainfall over most of the country, continuing through most of the 1940s over the eastern states. A similar dry spell occurred in the 1960s over central and eastern Australia. During these low rainfall periods, not every year is dry; it is just that rainfall in most years is below the long-term average, and there are often runs of years with recurrent drought. Thus in the late 1930s-40s major droughts occurred over eastern Australia in 1937-38, 1940-41, and 1943-45. 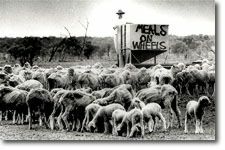 The 1990s saw formal Government acknowledgement that drought is part of the natural variability of the Australian climate, with drought relief for farmers and agricultural communities being restricted to times of so-called “exceptional circumstances”. In other words, the agricultural sector was expected to cope with the occasional drought, and relief would be available only for droughts of unusual length or severity. AS Eastern Australia suffers through another awful drought, it is important that the public is educated into the causes of long-term drought such that appropriate action can be taken, as noted by the Australian Government in the 1990’s, “The 1990s saw formal Government acknowledgement that drought is part of the natural variability of the Australian climate, with drought relief for farmers and agricultural communities being restricted to times of so-called “exceptional circumstances”. EDUCATION and understanding of the “land of sweeping plains,/Of ragged mountain ranges,/Of droughts and flooding rains.” helps to eliminate spurious claims of human-induced climate change as the cause of drought, all-too-often used by the mainstream media to push a political agenda or ideology. SUCH wistful activism encouraging a misallocation of funds in a vain attempt to “stop” climate change with precious public money awarded to wind farm, solar panel corporations and power companies, rather than fund drought mitigation schemes (dams) and to aid farmers through tedious times that will always occur naturally, regardless of Australia or the world’s carbon dioxide output.